I am a huge fan of loft living. 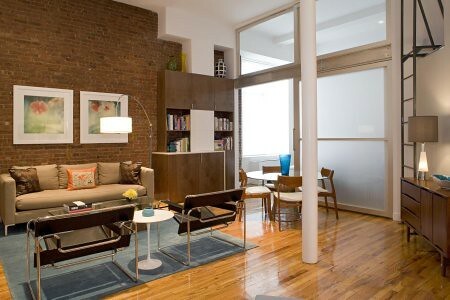 It’s one of my dreams to live in a New York City loft, and this one designed by Bella Mancini is at the top of my list. The white walls let in light giving this loft the bright and open feel I love. 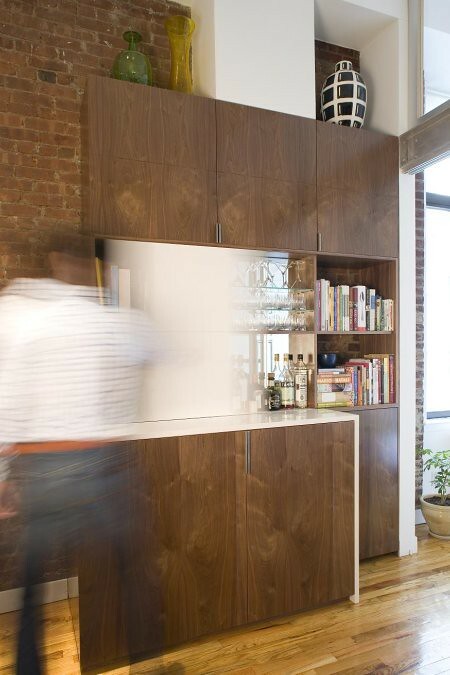 I love the idea of tucking away the bar and books behind built-in shelving. Super-stylish, functional and it keeps the space free from clutter. 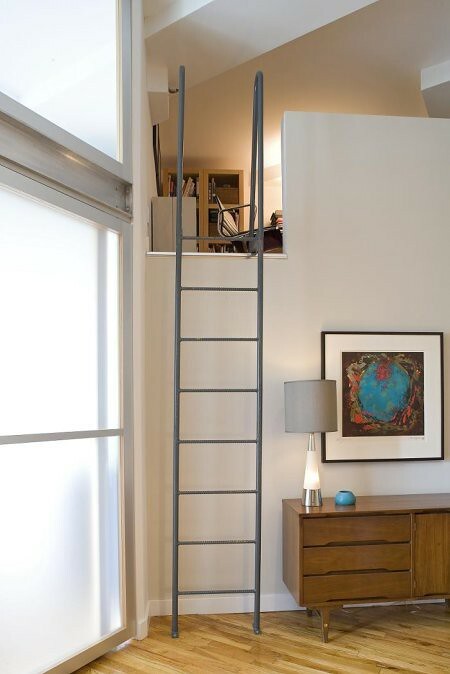 This ladder walk-up is definitely for the adventurous. I will likely need stairs in my own loft. And the brick wall adds such a sense of history. Oh, how I would love to live here! Have you every imagined yourself living in a New York loft?